Simply brilliant use of cubicle space, with a professional look to keep the office looking great! 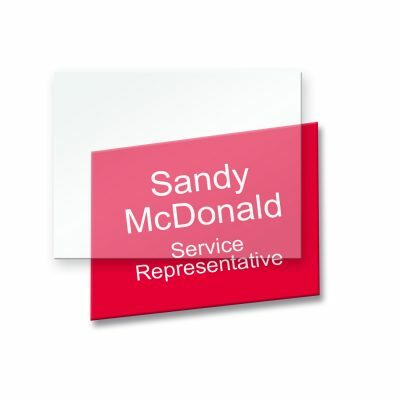 One side has a changeable nameplate holder for a personalized nameplate that displays on the outside of the cubicle wall. The other side has a large, magnetic dry-erase board for use inside the cube. 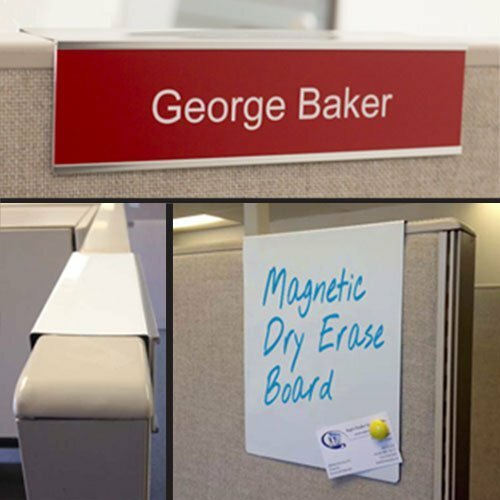 They easily slide over the top of your cubicle wall, with no pins or Velcro™ needed. IMPORTANT! 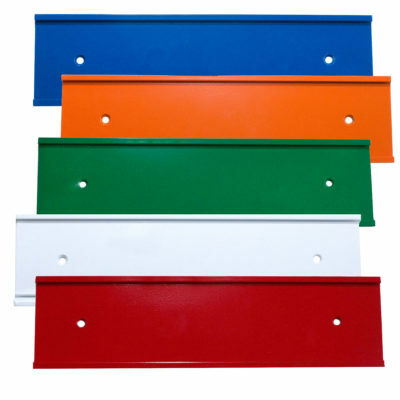 Measure the thickness of your cubicle wall to get an exact fit. 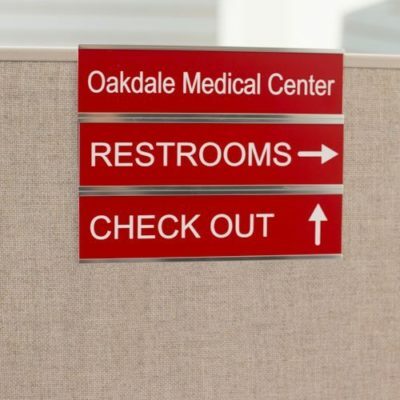 Call to order if your cubicle size is not listed. All Over the Cube products are made-to-order, custom-sized, and therefore are NOT RETURNABLE. Whiteboard Size Choose an option10" x 17"8" x 10"